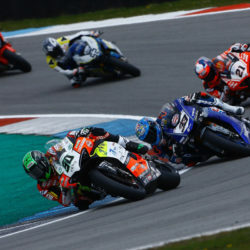 After the disappointment of Race 1 which saw record-breaking pole sitter Eugene taken out by another rider and teammate Lorenzo crash, Milwaukee Aprilia were prepared for a tough fightback on Sunday. 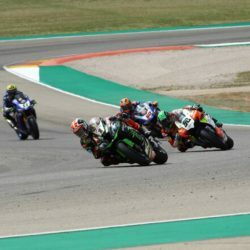 Due to their DNFs Eugene and Lorenzo lined up P10 and P11 respectively in the thick of the midfield action. At the start both riders lost out to Camier behind who took P9. A mechanical issue for him however dropped him out of the running, Lorenzo passing him at the start of Lap 2 with Eugene following. They ran together before a retirement for Razgatlioglu ahead promoted everyone from P7. They then chased down Baz in seventh, Lorenzo passing on Lap 8 and Eugene following suit on Lap 12 to take P8. Eugene had a lonely end of the race, chasing Rinaldi and passing him at the death on the last lap to come home P7 behind his teammate. 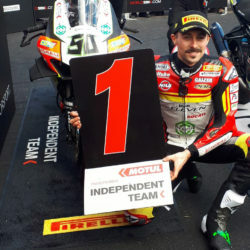 With a weekend result that is not representative of the strong progress and development the team have made in recent rounds, Milwaukee Aprilia continue to push hard for more podium finishes with both riders as the season enters its final three races. 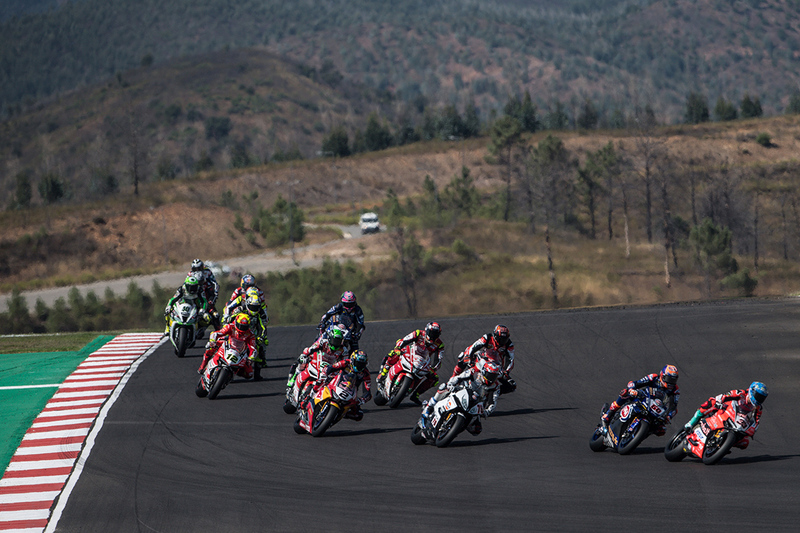 Round 11 of the WorldSBK championship takes place at the Circuit de Nevers Magny-Cours in France, 28-30 September.